SUNDAY LOVE. #7. | Life Looks Perfect. I have read about lots of new and exciting launches this week, with Spring on the mind. I know I have certainly got my eyes on so many spring nail varnishes, especially L'Oreal's new collection and Ciate's Doll House box! Heaven! My pick, however is a great post that I think is so useful to new bloggers and myself too! 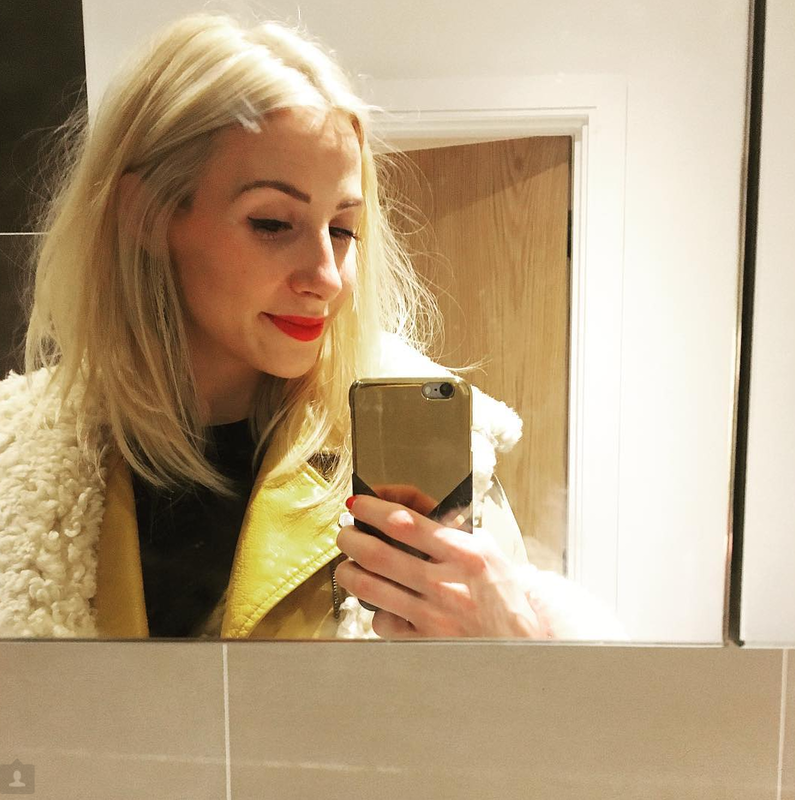 Hayley from London Beauty Queen Blog has written a fab set of posts from her Blogging 101 series, How to Grow Your Audience & How to Manage Your Social Media. I think these posts are great for everyone to read, I know I learnt a few tips and tricks! I think if you are a gal without an Iphone aka moi, keeping your social media in order can be tricky. I know I don't have Instagram and my twitter regularly freezes on me so it isn't always the easiest part of blogging to keep track of. Hayley's series is really interesting and as she has such a fabulous blog and a huge following, it's very kind indeed to be sharing her knowledge with her readers. Thank you Hayley! This week, I haven't had alot of time for catching up on video's, as I am sure you'll know by now, it's my Sunday ritual, however one new subscription this week was to Suzie from Hello October Channel. Suzie's channel is HERE. This lady has it all, to feed any beauty bloggers appetite and certainly mine - I have got a wish list as long as my arm! In looking back through Suzie's videos, I couldn't help but notice how professional she has become and how beautiful she looks in all her videos. My favourites include of course, her Skincare routines and get ready with me videos. I am still pretty basic at applying make up, sticking to what I know but through watching Suzie's videos, I have picked up lots of ideas for new looks. I think she is a must watch, in any beauty lovers subscribers list and I can't wait for Suzie's next video. This week I have hardly had time at all to have a real pamper and try out new products but one that I had to have a play with was Cheeky Bright as a Button Body Buff c/o. I am partial to a good old scrub down and, for me, the rougher the better. OK I didn't mean that to sound a tad naughty but hey it's true. Cheeky is a new brand to me this month and I have to say I think it's fab. With simple and practical packaging, Cheeky lend themselves to a fun, fab and affordable little piece of luxury in your bathroom. This scrub in particular was just what my body needed after a stressful week at work. This weeks written love, comes from two lovely ladies Lyzi from Being Little and Megan from Briar Rose Blog. I know there has been lots of good healthy talk over the last few weeks via twitter using the #TimeToTalk hash tag. On the 6th February, people all across the UK, used this day to start conversations about mental health. I know I have shared snippets of my everyday struggle with anxiety and many other things, which to be honest has become something I just have to live with each day- some better than others. I was really touched by Lyzi and Megan's posts last week and I thought I would share them with you, as although, Time To Talk only happened on the 6th February, I think mental health should be something we can always talk about and feel supported by one another. So many bloggers took part in Time To Talk and I think you are all so brave to share your story, that could maybe help someone else out there feel less alone. Lyzi's post can be found HERE, where she talks about her battles with self harm and Megan's post is HERE, where she opens up about panic attacks and anxiety. If we could all support each one another and keep mental health, not secrets behind closed doors, but a subject that we can all speak openly about and try to help each other. TAGS LIFESTYLE., SKINCARE., SUNDAY LOVE. I love watching Hello October, she is stunning & her videos are lovely. One of my fave YouTubers for sure.